A couple weeks ago, Luella and I were walking down the sidewalk when a little girl began shouting. “LUEEEEEELLA!!!!!! !” she shrieked, and I turned around to find her flying out the door of a nearby bank, sprinting toward us. 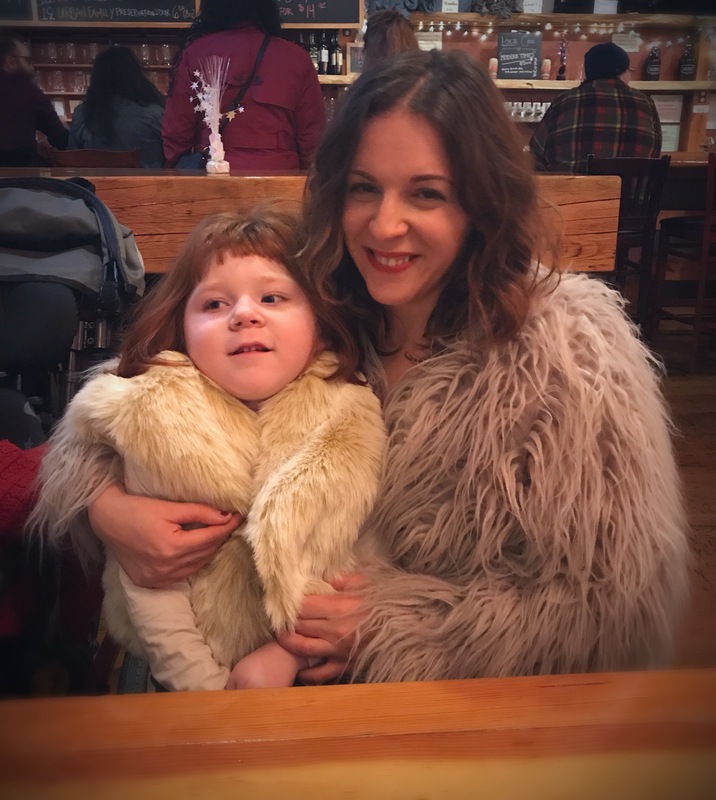 Emily was bubbling over in excitement to have run into us, wide-eyed and, “I can’t believe I spotted her!” (she also pointed to a sticker on Luella’s wheelchair and announced to all the parents, “That’s from Aslan Brewery,”…oops). Now in her third year of public school (two years of developmental preschool and currently kindergarten), these interactions have become more common. While Luella spends much of her time in a Life Skills class (i.e. 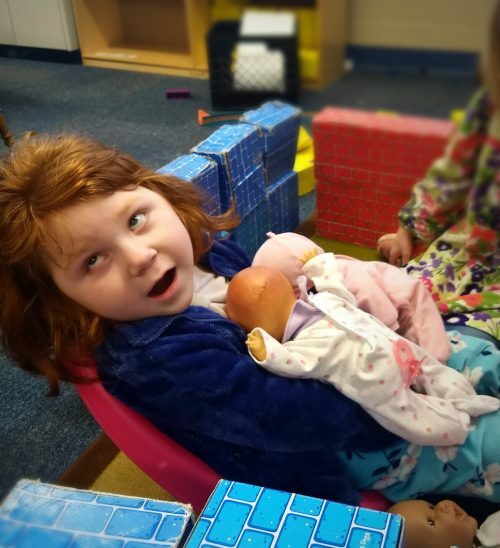 special education) she’s also integrated into a typical Kindergarten class–with kids like Emily–for portions of the day. I’m emphatic, probably annoyingly so, about integrated spaces. When you have means (i.e. money and privilege and also, I’m raising my hand), it’s super easy to curate life for yourself and your kids. You can wall yourself into a “tight-knit community” where no one looks any different from you. 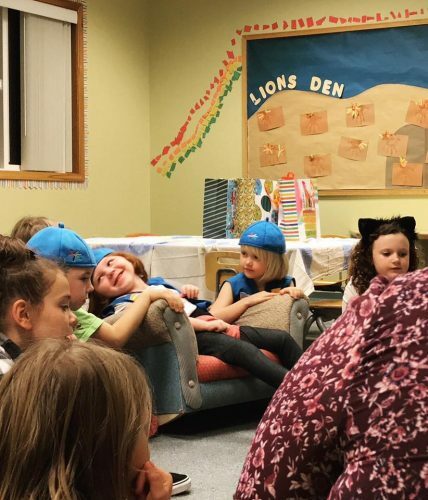 And while I believe those spaces can have their value (I’m mostly thinking of marginalized folx here), it also means that many kids never regularly see–much less interact with or befriend–people who are different from themselves by more than a degree or so. In our life, this plays out in how people interact with, or uncomfortably avoid, Luella. 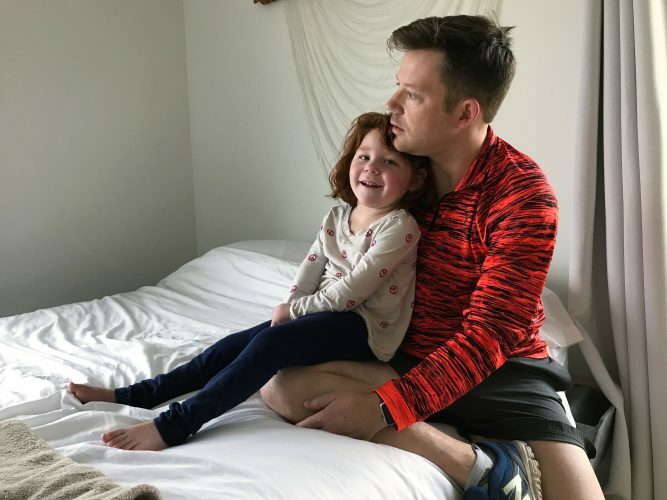 So, if you’re interested in ensuring you and your children are being nice humans and not making face-palm faux pas, read on! Be the leader. Kids may feel uncomfortable talking to people with disabilities. You might too! That’s okay…but push through it. Your kids will take your lead. If you ignore Luella, they ignore Luella. If need be, take the first step in facilitating communication and show them how it’s done. Let them ask questions. It’s okay for your kids to ask polite, curious questions. Really. They want to know how a feeding tube works? I can easily explain that. Plus, they usually think it’s cool how Luella can eat and sleep at the same time (and that she can “fart” out of her stomach…look, I know my audience). Host us. We get invited to plenty of accessible, kid-friendly events. But accessible doesn’t mean inclusive. Okay, so there’s a ramp. But once we’re there, is there anything for us to do? Will kids be encouraged and enabled to engage with us? Or will we be abandoned while everyone does activities we can’t participate in? Play host and ensure kids are not just invited, but integrated. Talk about people with disabilities. Read books/consume media that include characters with disabilities. Ask about other kids at school who have different abilities. 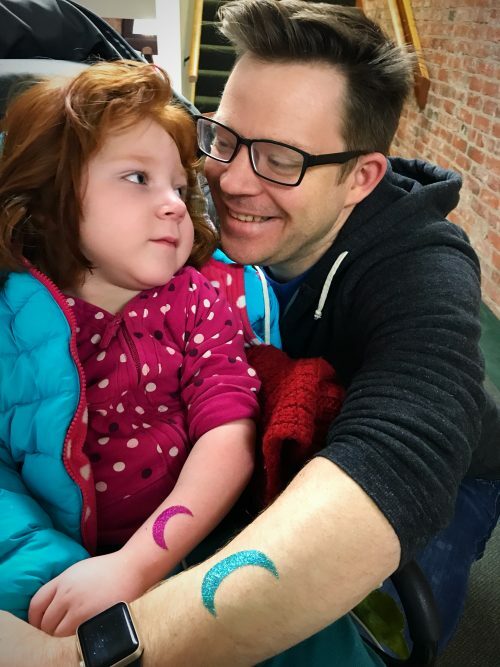 Honestly, feel free to talk about Luella and show Facebook pictures of her to your kids (also, when done ahead of time, this can really help ward off awkward moments for you when we arrive and give you a chance to talk with them about what to expect). Focus on sameness. Yup, there are some things about Luella that make her different from most kids. But do your kids like Taylor Swift/Raffi/cats/bouncing on trampolines? Cool, so does Luella! She’s not a walking lesson in humanity; remember that kids with disabilities are still regular kids. Don’t be rude. Luella looks different. That doesn’t mean we like being stared at. I’m not advocating for bulldozing kids’ understandable curiosity, but a gentle, “Oh, I see you looking over at that person. Let’s not stare. Would you like to go over and say hello?” Also, this should go without saying, but don’t use carts designed for people with disabilities at the store if you don’t need them, pretend like your dog is a service animal, or block off an accessible parking spot (yes, even if it’s only for a minute/you’re leaving your car running/it was just in the striped area/you’re running really late…I carry a notebook and pen for windshield notes and I’m not afraid to use them). A very, very normal family…very? Everyone’s different and this is just based on our experience. And honestly, kids who are regularly hanging out in integrated spaces probably have WAY better advice on how to interact and be a good friend. They get it, because it’s normal. Typical. 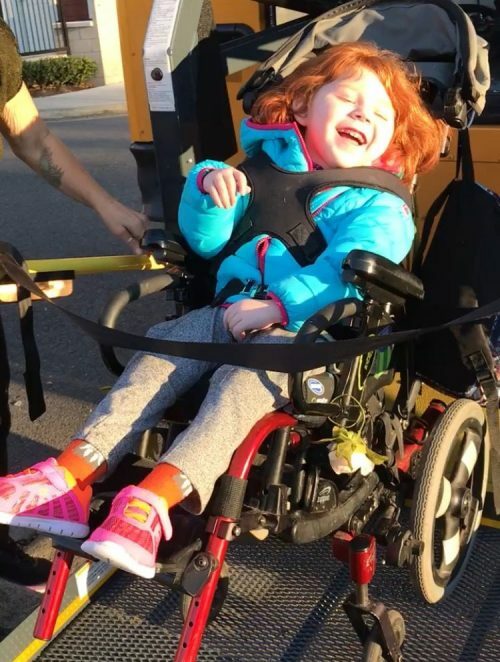 This is their friend Luella, she has brewery stickers on her wheelchair, likes playing with dolls, and also happens to have a disability. Sometimes you’ll be uncertain what to do or say. That’s okay. My advice? Ask a kindergartener. They seem to have this all under control. 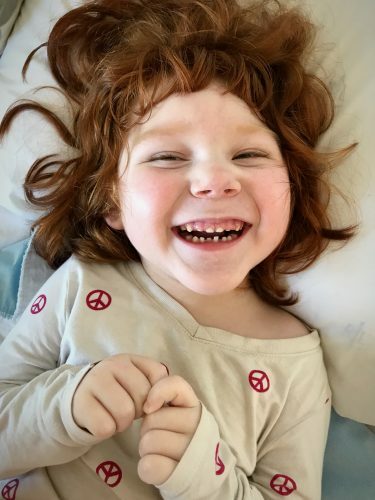 Luella Health Update: She’s still on the ketogenic diet and yes, it continues to have been the most incredible treatment for seizure control and improved development. If you haven’t seen her for awhile, she’s like an entirely new person. She’s still on other seizure meds but they all seem to work together well. In low-key health news (of which we are a huge fan), she has her first wiggly tooth. Wiggly teeth present a challenge for kids who a)can’t pull them out themselves and b)could aspirate them into their lungs. I’m not really sure what happens if that occurs but it…doesn’t sound good? Needless to say, we’re deep in Wiggly Tooth Watch 2019. Love, love, love–and great information as usual!! Luella gets out way more than I do. That picture of her with Mike is stunning. What a beautiful young woman she is becoming.